On July 20th, state legislators gathered at Rodale Institute to announce $500,000 in appropriations funding dedicated to the Institute’s research on organic methods. “I’ve watched as the research has grown here [at Rodale Institute] and know that the work being done here can have a very, very positive impact on not only Pennsylvania, but agriculture nationally and internationally as well,” said state Senator Judy Schwank (D-11). Also in attendance was Cheryl Cook, Deputy Secretary for Market Development at the Pennsylvania Department of Agriculture. The Department of Community and Economic Development, a sister agency, has pledged $5 million to support Pennsylvania dairy, a portion of which includes transitioning more farmers to organic. Support farmers by developing effective and efficient organic strategies to manage pests, fertility, and crop production management; assist farmers who want to transition from conventional to organic methods. Agro-eco system resilience: creating healthy farming systems that adapt to environmental change. For example, in the Institute’s 39-year-old Farming Systems Trial, organic systems demonstrate increased ability to retain water and support healthy crop growth during drought. Human health and nutrition: investigating links between soil health and human health, primarily through the Institute’s Vegetable Systems Trial, which is supported in part by a grant from the Pennsylvania Department of Agriculture. 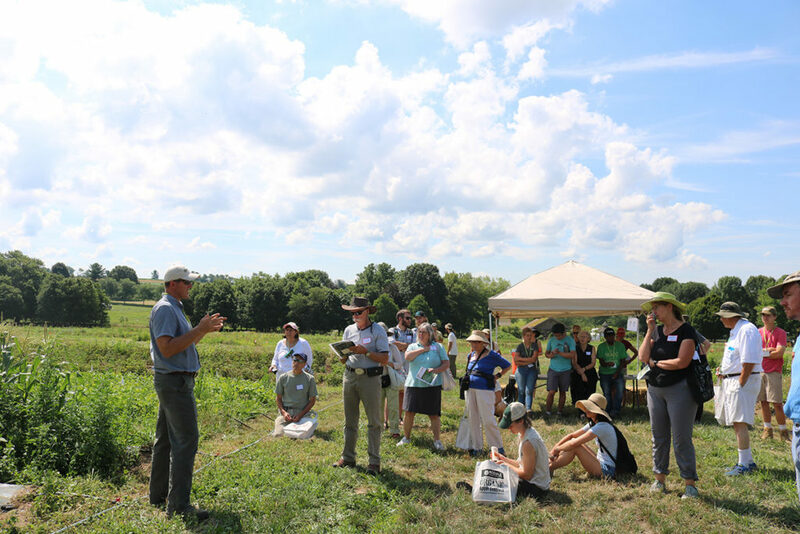 The announcement took place at Rodale Institute’s Field Day, an annual event that draws several hundred farmers, gardeners, university staff and students, extension agents, consumers, and more. This year’s event welcomed over 400 attendees from 3 countries and 14 states.